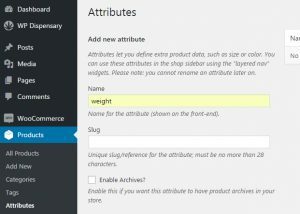 Requirements: This plugin requires that you have WooCommerce installed & activated before uploading our Connect for WooCommerce add-on. 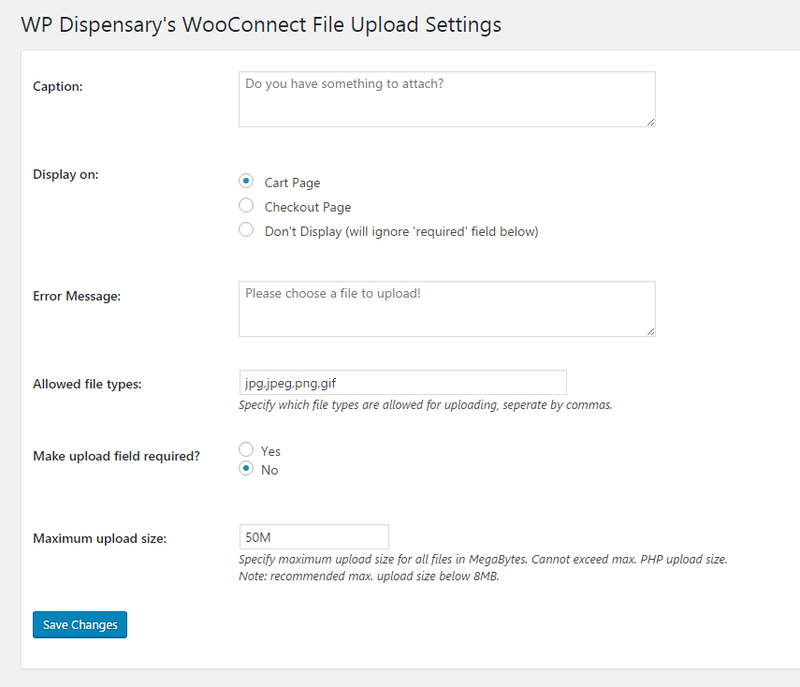 After you’ve purchased your copy of the WooConnect add-on, you will need to upload the zip file you received. This can be done through FTP with your hosting company information, or directly in your WordPress admin dashboard. 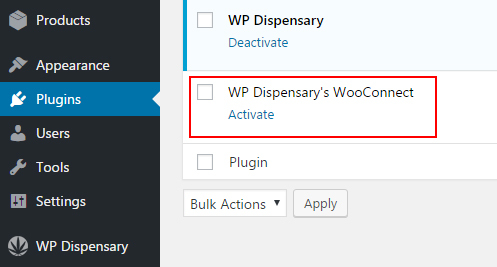 Once you’ve uploaded the plugin, you’ll need to Activate WP Dispensary’s WooConnect through the Plugins section of your dashboard. Once activated, the real fun begins! 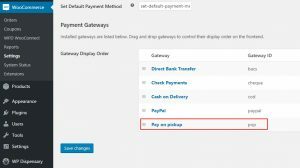 Since credit card companies are reluctant to work with businesses in the cannabis industry, the WooConnect plugin adds a new Payment Gateway option called Pay on Pickup. This means no money transactions are done through the web, the order is placed and you’re notified when a new order comes in so you can prepare the order and have it ready for your patient when they show up. 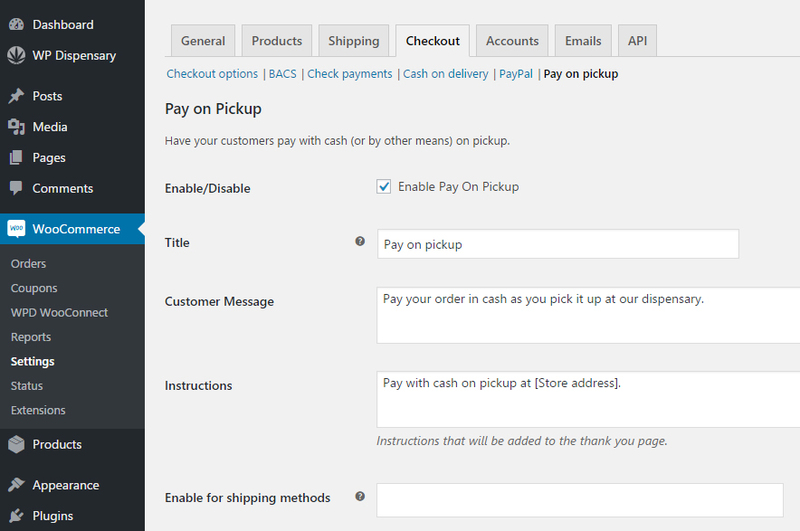 You can change to Pay on Pickup by going to WooCommerce > Checkout > Pay on Pickup and checking to Enable Pay on Pickup. Here, you’re also able to add custom text to the Thank You page, as well as adjust the title and message that shows up on your checkout page. 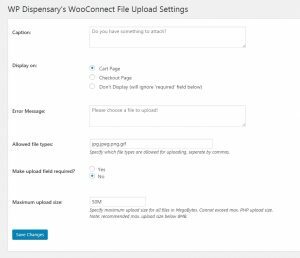 Another feature baked right into the WooConnect add-on for WooCommerce is the file upload option so you can have patients upload any legal documentation or scans required before orders are processed. After you activated the plugin, you should see the Settings link like below. 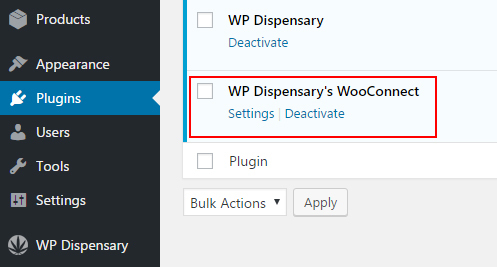 You can also find it under the WooCommerce section of your admin menu titled WPD WooConnect. The settings available to adjust for the file upload can be seen by clicking and expanding the image below. 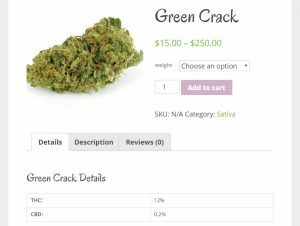 Your patient can now attach a scanned copy of their medical marijuana card and valid drivers license to their order, allowing you to verify their information before preparing the order for sale. On your website, you’ll now see the file upload option, similar to the image below. 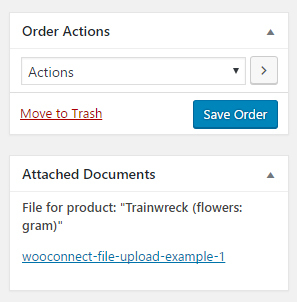 Once the file has been attached and the order has been placed, you’ll be able to view the order in your WordPress admin dashboard under WooCommerce > Orders. This is also where you can change the order status once the patient has come into your shop and picked up their order. 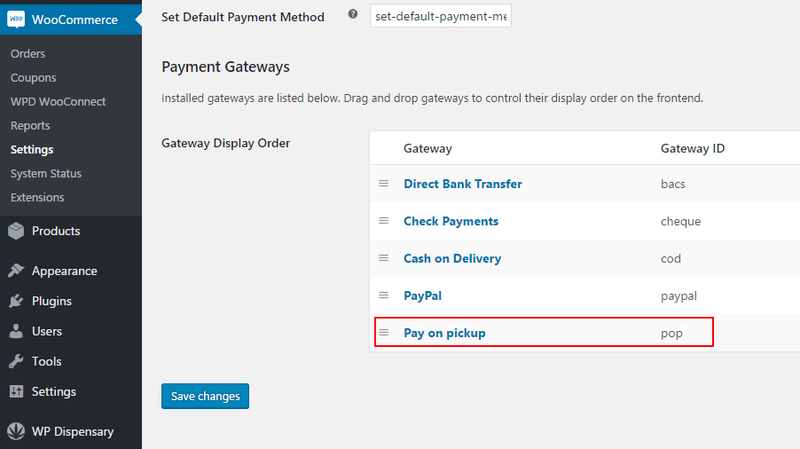 You can do this by changing the Order Actions to Completed Order. 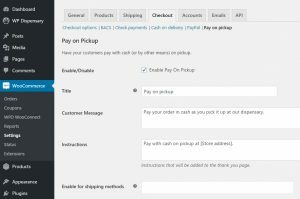 Before you can start adding products, you need to set up the required pricing variables so that the prices you add to your WPD item get added to your WooCommerce products. 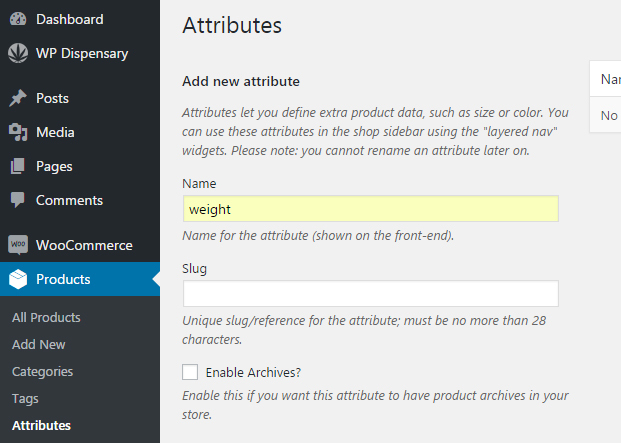 In your dashboard, go to Products > Attributes and create a new attribute named weight. Once you’ve added the weight attribute, you’ll see the follow details on your Attributes screen, and will need to click the Configure Terms link. On the next page, you’ll need to add the following new weight names. Now that we’ve got everything set up, it’s time to add in your products. In the following steps, we’ll be adding a new Flower. 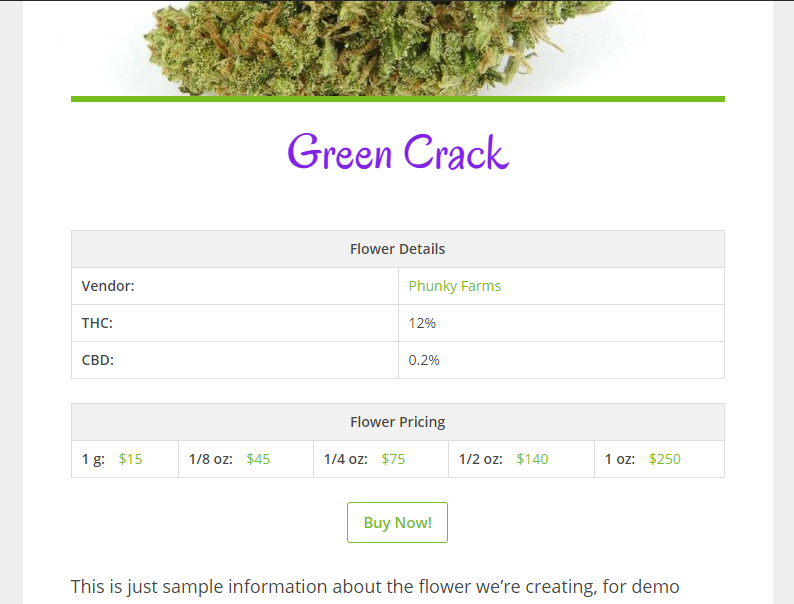 Go to WP Dispensary > Flowers and click the Add New button. 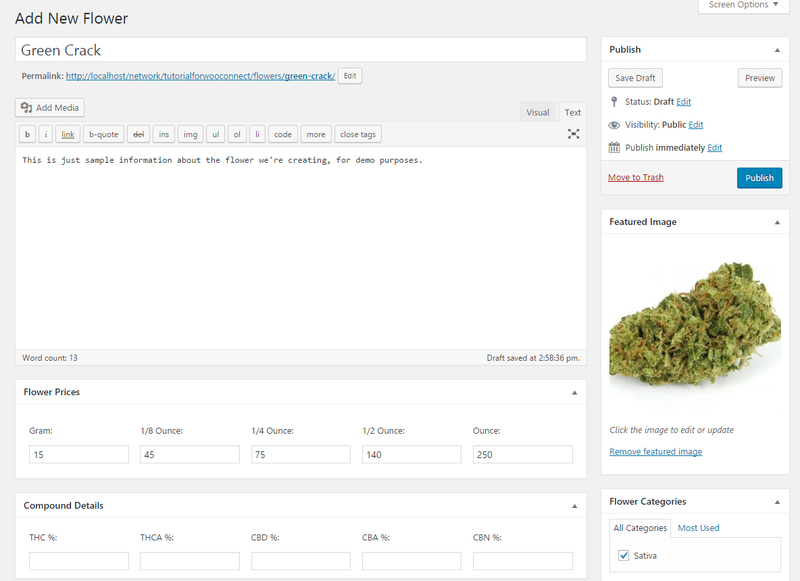 On the next screen, fill in your flowers details – title, description, prices, featured image, etc. 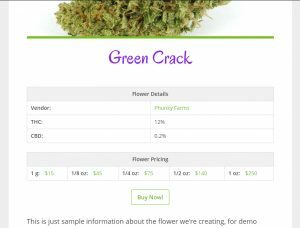 Your new WP Dispensary flower will have also created – and connected – a new WooCommerce product. 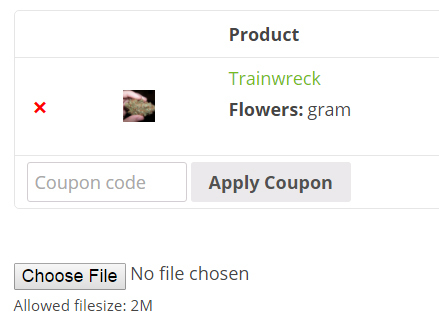 Below is how your new flower will look with our CannaBiz theme. And your new WooCommerce product will look like the image below. 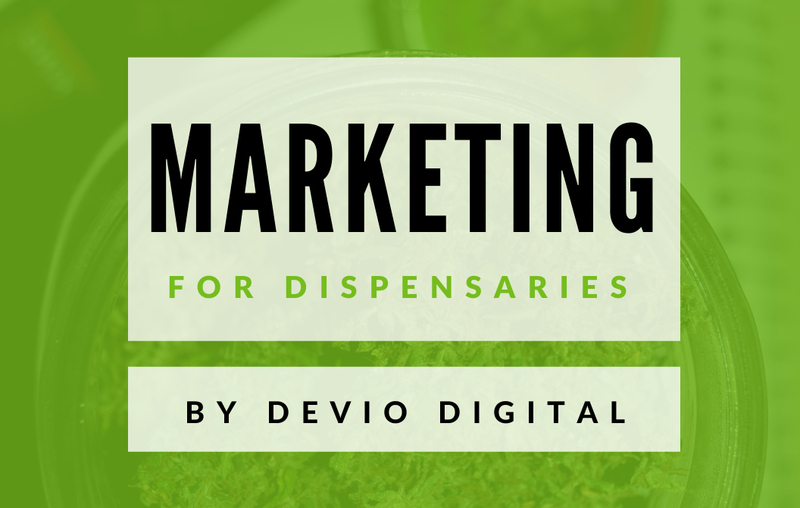 It’s as easy as following the above steps for each of your products. 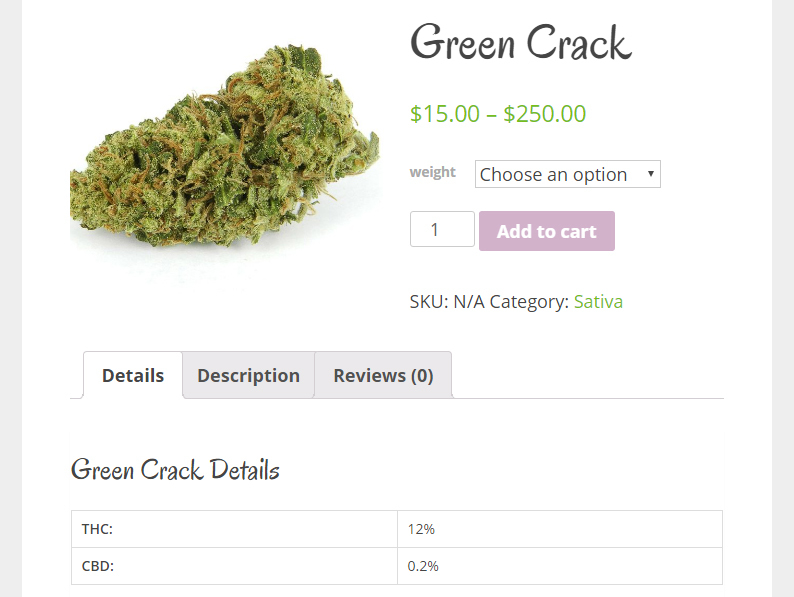 Add the item to WP Dispensary and it’ll automatically add your WooCommerce product for you!